Stone Mill is open for deliveries Monday through Friday, 8:00am-4:30pm (Mountain Standard Time). We are closed weekends and all major holidays. All van and hopper trailers must be thoroughly and organically inspected for cleanliness and soundness. Load locks and/or straps are required for all dry van loads. shipping department at (701) 974-2106. 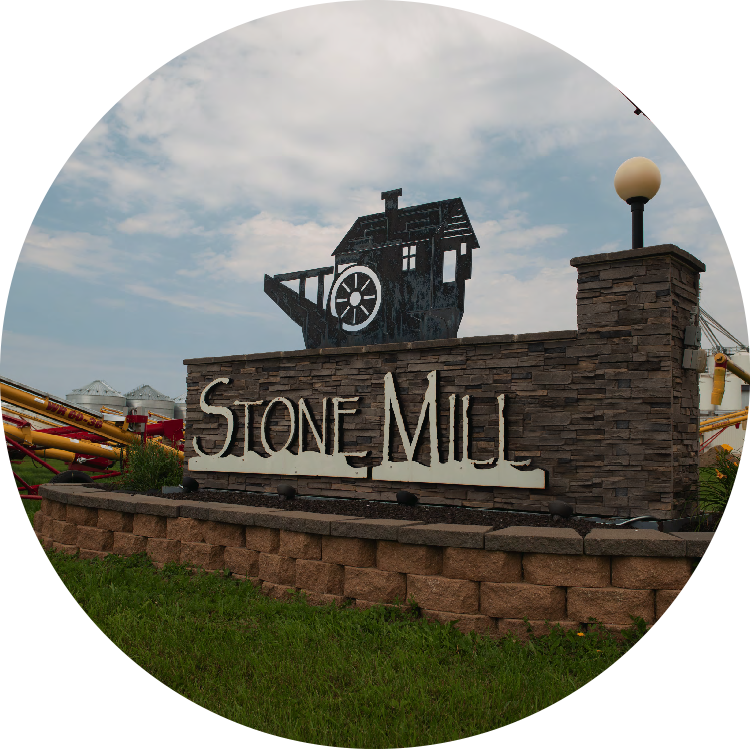 Directions: Stone Mill is located 1/4 mile south of Richardton, North Dakota, off of Interstate 94. From Interstate 94, take exit 84 for Richardton, ND. Head south (off ramp) on to Highway 8. Travel 1/4 mile. Stone Mill will be located on the left (east) side of the Highway.